Disney's The Nutcracker and the Four Realms comes to life in a new trailer. 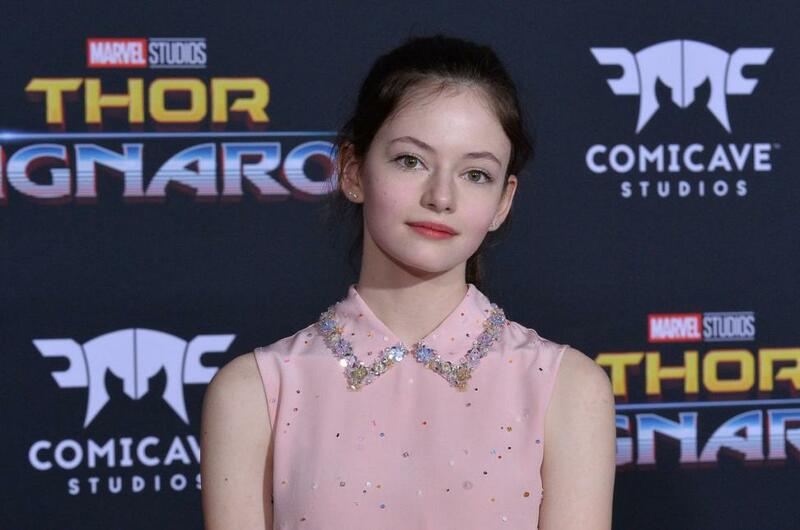 The preview shows Clara (Mackenzie Foy) take on the villainous Mother Ginger (Helen Mirren) after discovering a fantastical and mysterious parallel world. [post_ads]Clara learns her late mother created and ruled as queen over the Land of Snowflakes, Land of Flowers, Land of Sweets and the Fourth Realm. The Sugar Plum Fairy (Keira Knightley) and a soldier (Jayden Fowora-Knight) help Clara reclaim the kingdom. The Nutcracker and the Four Realms is based on the E.T.A. Hoffman story The Nutcracker and the Mouse King and the Pyotr Illyich Tchaikovsky ballet The Nutcracker. The movie will feature dancer Misty Copeland as The Ballerina. Chocolat director Lasse Hallstrom and Jumanji helmer Joe Johnston directed the film. The movie co-stars Eugenio Derbez, Matthew Macfadyen, Richard E. Grant and Morgan Freeman. The Nutcracker and the Four Realms opens in theaters Nov. 2.